Network security is vital in order to keep your computer networks and data from being compromised. Network security is made up of hardware, software, policies and procedures that works together to defend against internal and external threats. The most common threats to your company’s computer systems are viruses, hackers attacks and data theft. As service providers, we offer IT products and solutions to help maximize your technological investments and protect your organizations important data from becoming compromised. Get in touch with our Houston TechSys team to learn more about our network security options. Dynamic Network Security – stop ransomware, encrypted threats, and phishing attacks. Smart Security Firewall – enterprise grade security and award winning technology. Smarter Cybersecurity – delivers multi-vector protection for endpoints & networks & threat intelligence services. See if SonicWall is right for you! See if WatchGuard is right for you! 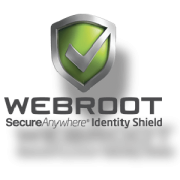 See if Webroot is right for you!